The Middletown Middies defeated the Newburgh Free Academy Goldback's 64-53, in their semi-final game at Mount Saint Mary College in Newburgh, NY on Thursday, March 1, 2012. Newburgh Free Academy Goldback Donovan Fields (2) flies to the basket as Hasahn French (50) defends in their semi-final game at Mount Saint Mary College in Newburgh, NY on Thursday, March 1, 2012. 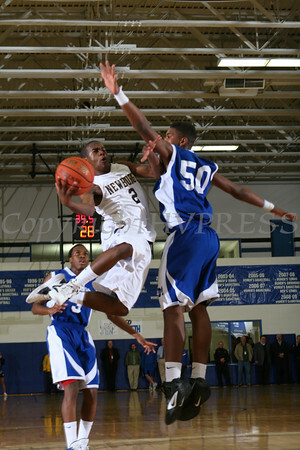 Middletown defeated Newburgh 64-53. Hudson Valley Press/CHUCK STEWART, JR.